A £50 (non refundable)deposit is required at time of booking and full balance to be paid 4 weeks prior to holiday dates. A £50 refundable deposit is also payable on arrival... this will be refunded before you leave as long as there are no damages. 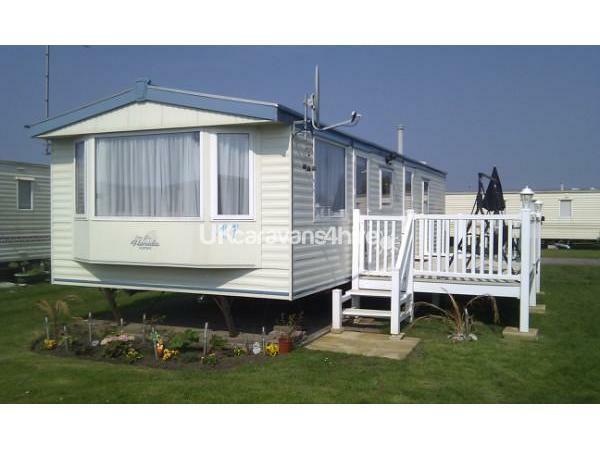 Our lovely family owned caravan is situated on Lido Beach Caravan Park which is just a short walk from the lovely sandy beaches of Prestatyn. 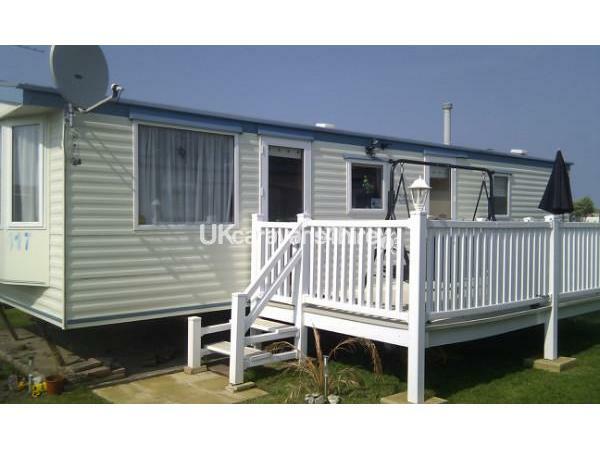 It has 2 bedrooms consisting of a double bedroom (wall mounted flat screen TV with Freeview/DVD) ensuite and one twin bedroom. All bedrooms include wardrobes and drawers. 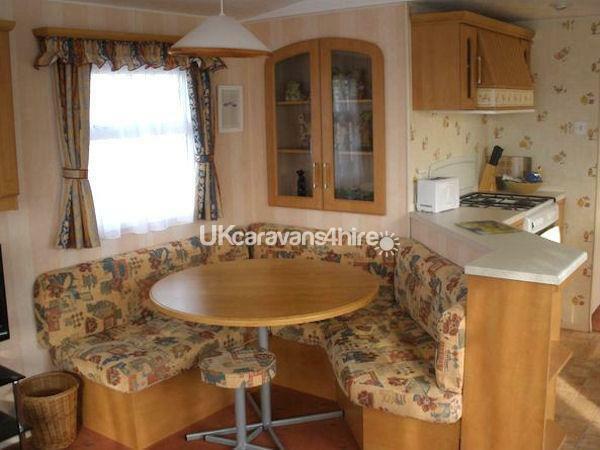 There is also a double sofa bed in the lounge providing sleeping for up to 6 people. Pillows and duvets are provided, but please bring your own bedding as bedding is not provided. 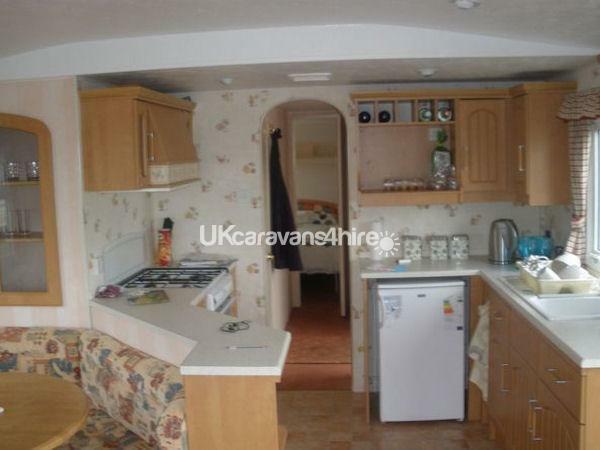 The dining and kitchen area includes dining table and seating and incorporates a fully equipped kitchen including gas oven and hob, fridge freezer, microwave, kettle and toaster. The lounge has 2 large sofas (one converts to a double sofa bed), gas fire, flat screen television/DVD, sattelite TV and CD player. There is also a selection of books and games for you and your family to enjoy during your stay. 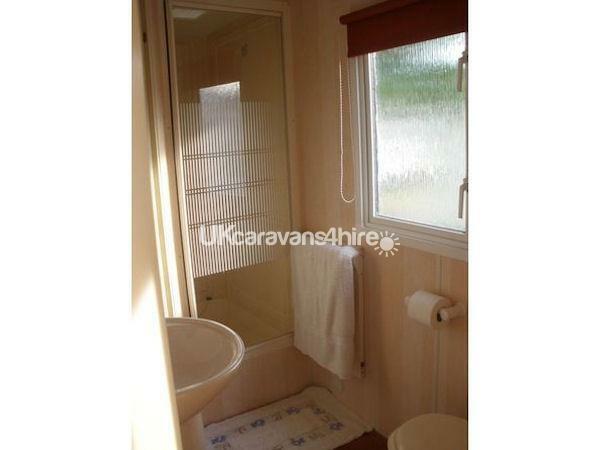 The bathroom consists of toilet, shower, vanity unit and sink. Please bring your own towels as these are not provided. Outside there is a good sized veranda with swing seat, table and chairs, water feature and grassed garden area for you to relax in and ample parking space. Our caravan is only 2 minutes walk through the sand dunes onto the beautiful sandy beaches of Prestatyn and the Nova Centre. 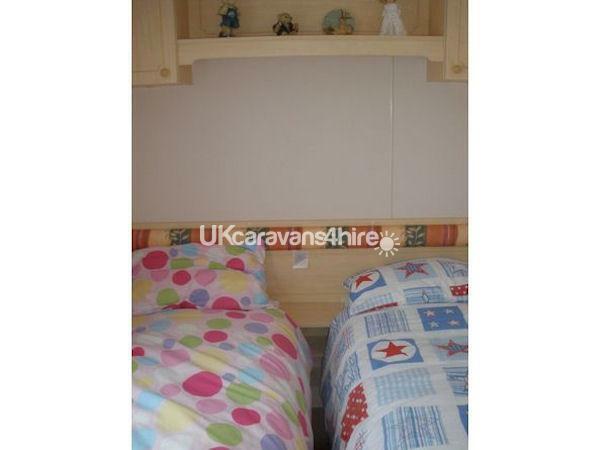 There is a children’s play area, tennis and ball courts, a fully equipped launderette and an onsite cafe. Restaurants, bars and take aways are located close by in Prestatyn. Rhyl town centre is only a short drive away where you will find the Aquarium, Rhyl Sun Centre, arcades, shopping centre, cinema and golf course. A £50 non refundable deposit is required to secure your booking, and full payment to be made four weeks prior to your arrival date. We also ask for a £50 fully refundable deposit on arrival to cover any damages or breakages. We can offer weekend breaks from £110 (Fri - Sun) through low and mid season ... however we are only able to take bookings for full weeks (7 nights) during high season and bank holidays. We welcome families with dogs, but the maximum is 2 dogs only. Check out our availability section ... late deals being updated weekly. 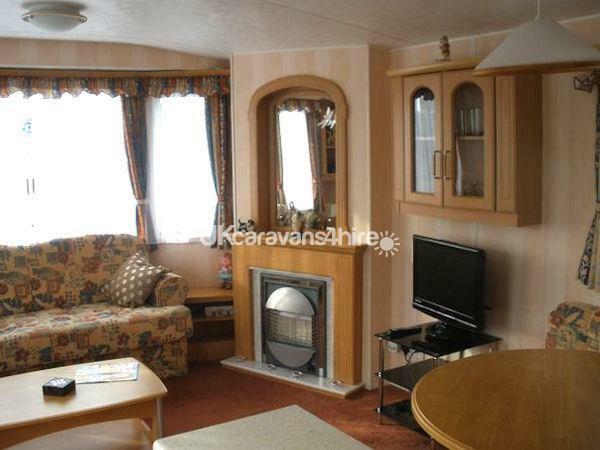 You can also contact me via Facebook ... "sue parrot lady o'brien"
The caravan is spacious and comfortable for it's age. The two outside photo's shown above are a little mis-leading though, as this looks nothing like the plot we stayed on, for eg their is no pretty garden area as seen in the picture, no well manicured lawn, parking is obstructed by over grown bushes and a swing seat, which isn't on the veranda as shown but set aside in some overgrown bushes and unusable due to the amount of bird droppings on it. The caravan in the picture also has a different number on it to the one we stayed in, it now bearing the number 419. There is also no satellite tv as suggested in the picture either. It is also on probably the worst junction for traffic noise on the site unfortunately. 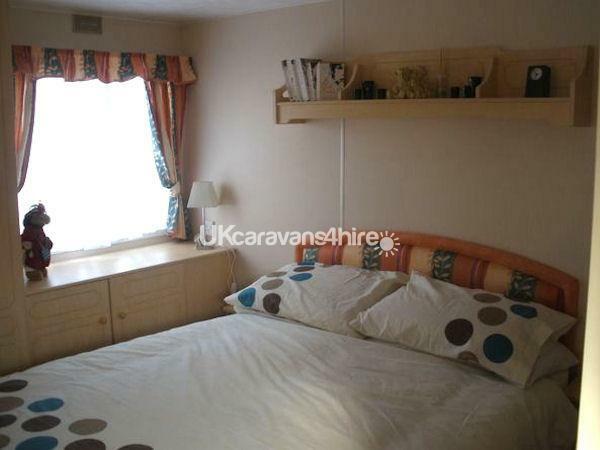 That aside, the caravan in it's present location is only a five minute walk from the beach and was comfortable enough for the four of us to stay in. Sue responds quickly to any queries as does her able assistant, two examples being the replacement of a leaking kettle and Sue responding very swiftly, when we where left with no gas. 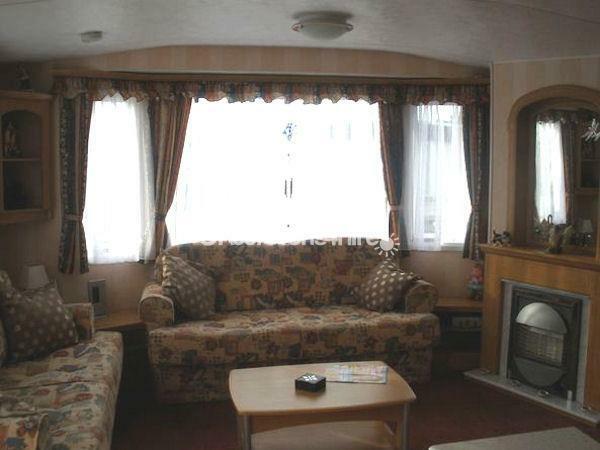 All in all I would recommend staying in Sue's caravan and Lido Beach itself.